This article on making Vanguard’s LifeStrategy funds the core of your lifelong investment strategy is by John Edwards, whose book DIY Simple Investing aims to get novices up to speed. I was recently discussing financial matters with a good friend. She is articulate, exceedingly well-educated and accomplished – Oxbridge degree, large circle of friends, owns her own home in the country, a mother and now grandmother. However, the one area of life where she struggles is personal finance. Talking to her started me thinking. If someone as well balanced and educated as my friend gets stuck, then how many others have difficulty with everyday financial challenges – be it pensions, investments, or savings? When I started to do some research into ‘financial dyslexia’, I found it was a major problem for a lot of people. Most Monevator readers are self-directed investors, I imagine, and it is easy to make the assumption that other people could easily do the same if only they chose to do so. Many people, for whatever reason, have a complex emotional relationship with money. This could be due to repeatedly telling themselves “I don’t/can’t do this” or it may stem from failing to grasp maths right back at primary school level, perhaps due to a single poor teacher. It may even be down to the wrong sort of genes! It’s all too easy for those of us who (more or less) take investing for granted to overlook how confusing, daunting and difficult it can seem to those would-be investors looking in for the first time. More evidence: In 2014, the Open University Business School asked a cross section of the population to answer questions currently on the financial education syllabus. It was shocked by the results – over two-thirds of UK adults got basic personal finance school exam questions wrong. Consumers also admitted that their lack of financial knowledge was stopping them from making informed decisions about mortgages (44%), pensions (43%), and even the simplest products such as ISAs (32%). The research also suggested ignorance isn’t bliss – 60% of the 25-34 age group admitted that their personal finances caused them stress, anxiety and sleepless nights. Another recent report suggested that one in ten people cannot identify the total balance on a bank statement, whilst 25% said they would rather live for today than plan for tomorrow. Those who can afford the fees can get around these stumbling blocks by employing the services of a qualified financial adviser. However after the various regulatory changes of recent years, the costs associated with advice are no longer hidden in the fund charges. Making these costs more transparent is probably a good thing, but it does mean the fees of employing an adviser must be agreed and paid upfront. The cost for such advice varies according to the nature of the advice, complexity and time involved. As an example, a would-be investor starting up an investment ISA or SIPP or investing a one-off lump sum could pay between £750-£1,500, plus 20% VAT. Understandably, many ordinary people investing modest sums may be put off by the idea of such high upfront charges. 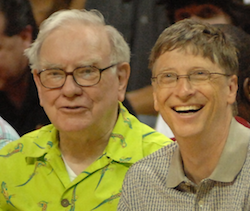 For these individuals, it may well be a case of DIY investing or nothing. I have written and self-published three previous books about money and investing. At the time I thought they were fairly straightforward. My first I described as ‘A simple and easy to understand guide to savings, pensions and investments’ and my second as ‘A simple and, I hope, easy to understand guide to UK pensions’. But when I took the opportunity to re-read these books in the light of my later findings about the depth of financial difficulty out there, it was obvious that – whilst from my own perspective those statements were true – for possibly the majority of ordinary individuals, my efforts to open up and explain the mysterious world of personal finance had failed. My challenge was to try to step into the shoes of the novice would-be investor – to become what I had been 25 years previously when I started my own investing journey. I wanted to try to see things from this different angle and perspective. I needed to unlearn everything I had picked up over the past two decades and then to try to write a book that would be easy for anyone to understand. It seems to me that all that the vast majority of would-be investors need is a very simple, no-frills DIY strategy that provides a good chance of a decent outcome. It was when I was researching Vanguard’s LifeStrategy funds for my own possible use that I realised these products could be the centrepiece of just such a simple all-in-one investing strategy that almost anyone could follow. I even wrote an article on my own website about this: Vanguard LifeStrategy – A One-Stop Solution. Now, the average Monevator reader would probably not have too much difficulty in constructing a portfolio of passive index funds and ETFs – or even shares or investment trusts. But for those who would find such an undertaking daunting, the LifeStrategy funds provide a one-shot solution that I believe is a significant advance in making investing accessible to everyone. Vanguard’s LifeStrategy funds hit the UK market in June 2011. They are a range of low cost all-in-one funds holding an assortment of Vanguard’s globally diverse, standalone index funds. (From here I’ll abbreviate the funds to LS20 and so on, for convenience). For instance, the LS40 fund holds an assortment of Vanguard’s underlying equity funds that together make up 40% total equity exposure. 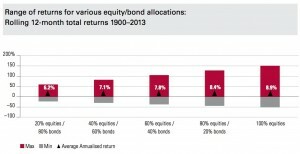 The remaining 60% is made up from a mixture of standalone bond funds. Each of the five LifeStrategy funds holds over 1,000 assorted securities. Which LifeStrategy fund to choose? Investors who have a longer time horizon and are willing to embrace more risk or volatility in their portfolio in exchange for the possibility of a higher return would select a fund with a higher equity holding – say LS80 or even LS100. Investors with a lower tolerance to risk or a shorter time span ahead of them should opt for a LifeStrategy fund with more bonds in the mix, such as the LS20 or LS40 funds. You could also hold more than one LifeStrategy fund in your portfolio to fine tune your exposure. For example, if you wanted to achieve a 50-50 mix of equities and bonds, you could purchase the LS40 and LS60 funds in equal measure. Remember, it’s not just about the average total annual return, otherwise we’d all obviously choose the LS100 fund! Volatility increases as you increase the equity mix, which in turn increases the range of returns – including into the negative zone represented by the grey areas. I believe the regular rebalancing of a portfolio is important and too often overlooked by investors. To my mind it’s a great benefit of the LifeStrategy approach that the funds are automatically rebalanced by Vanguard on a regular basis. The more that can be automated, the better. Rebalancing ensures you are not exposed to more risk than you chose at the outset when you first purchased your LifeStrategy fund – and without you having to lift a finger. In contrast, with most other multi-index or multi-asset funds an investor is merely offered a range of potential exposure to equities. This means you may have no idea what your actual level of exposure is at any given time. For example in an investment offering 20-60% equity exposure, the fund manager has complete freedom to increase or reduce holdings according to how he or she reads prevailing market conditions. As an investor, you will not know from one month to the next whether your chosen fund holds 60% equities or 20% – or anything in between. Such a fund’s returns will also depend to a large extent on the manager making consistently good market calls. Personally I would not feel comfortable with that strategy. Remember, what we are after is a simple, low cost and diversified strategy that a novice investor can understand and implement with a minimum of fuss. Job done, and you can now get on with your life. It seems to me that putting together a DIY portfolio does not come much simpler. As we saw earlier, the LifeStrategy funds are globally diversified which helps to reduce risk. They also have reasonable costs of 0.24% (plus a one-off 0.10% dilution levy). True, it would be slightly cheaper to hold all the underlying funds separately but it’s not very practical. For the convenience of an all-in-one fund and automatic rebalancing, the marginal additional cost is well worth it. Most LifeStrategy investors at the moment are probably planning to use the funds during the early years – the building phase – of growing their wealth within ISAs and SIPPs. Part of this process should include some thought about your changing risk tolerance at various stages of your life. When starting out in your 20s and 30s you could use the LS100 or LS80. During your late 40s and 50s you could switch to LS60. As retirement approaches in your 60s you could swap to LS40. The beauty of the LifeStrategy option is its simplicity. Choose your level, set up your automatic monthly payments with a selected broker and then leave it on autopilot until your fortieth, fiftieth and sixtieth birthdays, when you switch into progressively less risky funds. Although most people will probably use LifeStrategy funds for the wealth-building phase of their investing journey, I believe the funds could be used in later years for the ‘deaccumulation’ phase, too. Of course, at that point you might plan to move your accumulated money into more income-orientated options. For instance, other passive funds with an income focus include Vanguard’s UK FTSE Equity Income fund or its All World High Yield ETF – both of which I hold in my portfolio. There are also income focused investment trusts you might consider. However, if you have been happily building your retirement pot using the simple LifeStrategy route, then why not continue with it? In this case, instead of investing in funds that pay out a regular income, you’d plan to ‘create’ and withdraw your 3.5% or 4.0% annual income by selling units. The average total return on the LS60 since launch in June 2011 has been just over 9% per year, on average. This return will probably come down a little as the years pass, but using a cash buffer if necessary to cover negative return years, it should be perfectly feasible to obtain a reasonable income. It’s also worth noting that each of the five LifeStrategy funds comes in both accumulation and income flavours, with the latter paying out – of course – an income. For those who do not require too much income during the deaccumulation phase, it could therefore be worth considering the income version of their chosen fund. However at the present time the average distribution yield for the LifeStrategy funds is around 1.4%, which will be too low for most investors. That is why selling units can provide a good alternative. My advice to any would-be investor is to keep things simple, low cost, diversified and to understand your tolerance to market risk/volatility and invest accordingly. And it seems to me the Vanguard LifeStrategy funds offer all this and a bit more in a single all-in-one fund. 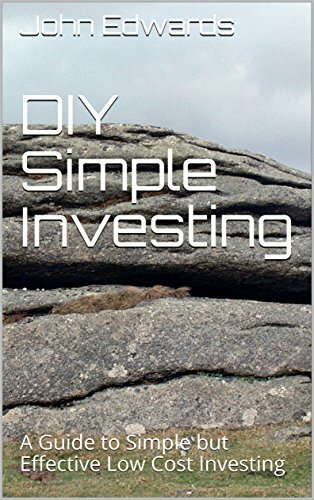 Naturally, I go into much more detail in my latest DIY Simple Investing book and cover other aspects that underpin this central theme. But, in a nutshell, the essence of my book is covered above – short and sweet, jargon-free, and, I hope, a practical guide for those people who are looking for a low cost and easy to understand investment strategy. Incidentally, the book was in part inspired by a development in my personal investment strategy over the past year or so, which has made me re-evaluate some of my earlier thinking. Monevator has a lot to answer for! You can read more from John at his blog – or check out his book at Amazon. What should a new investor be told to do? @Passive Investor Thank you for your reply. You are up early/late! Could I ask where you would invest such a lump sum in 2016? Thanks Peter Piper. The short answer to your question is ‘I don’t know’. Also I should say I am not a financial advisor. 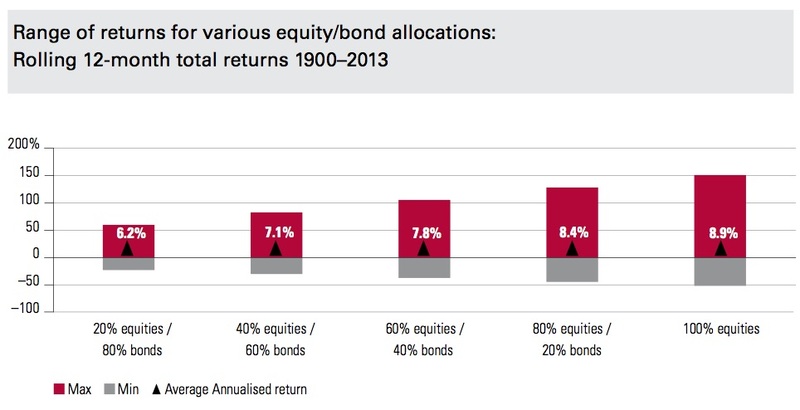 (3) invest 60-65% of rest in the broad UK stock market. (4) invest the 35-40% bond element in a vanguard short duration bond fund and cash. This may turn out to be completely the wrong approach and you might do worse than if you just put it all into Vanguard LS now. But I am keen to avoid tail risks of now being a low water mark for sterling and of the bond market unraveling a bit over next few years. I would avoid index linked gilts (see articles here on Monevator). @Passive Investor thank you for your follow up suggestions and apologies for the late reply. Your ideas are interesting and I will explore the possibilities over the Christmas break. It is precisely because you are not a financial advisor that I appreciate your advice! Have a great Christmas and thanks for all the great articles during 2016. @Passive Investor Yes, sorry. But thanks for the advice anyway; still better than a FI imho. Is there a way to currency hedge vanguard life-strategy in a suitably resource un-intensive way? Hi. Forgive my ignorance as I’m just starting to invest and learning the ropes/terminology. I’m interested in the Vanguard LS funds as they will keep it simple for me to invest, but all my investing will be within either an ISA or SIPP wrapper. I’m a higher rate tax-payer (occasionally) so want to make the best of the tax breaks available and I just want to understand if this single ‘fund of funds’ would be eligible for the full UK tax relief I would be entitled to. @ new to saving. The LS Vanguard funds are fine for UK tax relief and are ideal for ISAs & SIPPS. I have most of my investments with them. Lots of information on their website and their help line has been helpful in two occasions I have rung. It’s partly to do with having “reporting status” but there may be more to it than that too (I am not an accountant / tax expert). In short they are fine and a great choice in my view. @Passive Investor. Thanks, you’ve put my mind at ease. They certainly look like an ideal way for me to start investing without getting into too much detail of the separate funds/shares for now. @ New to saving. I think they’re a great way to FINISH investing too! My aim is move everything else I have across to them slowly (they weren’t around when I started investing) with the aim of living off the yield at the beginning and then drawing down perhaps 3.5% later on. Will be nice and simple with no worries for anyone if I shuffle-off first! They are amazing value and although you could shave off 0.1-0.15% by investing in individual funds the automatic balancing and lack of dealing costs is worth much more than that, I am sure. What concerns me about a significant investment in a global index tracker eg. the highly respected Vanguard index funds is that the holder would be significantly exposed to exchange risk ie. the strength of the home currency (eg. GBP) Have I missed something here? It is very hard to avoid FX risk, whilst maintaining diversification. Even if you went for a FTSE100 tracker, quite a few of the companies are foreign and are only in the index because they choose to list on the London stock exchange. So, their value in GBP fluctuates depending on the strength of the pound. And most of the UK companies in the FTSE100 earn a lot of their income overseas, in foreign currency, and/or purchase raw materials in foreign currency, so again FX movements affect the profits (stated in pounds). That’s why the FTSE100 has gone up so much, recently. If you want to avoid FX risk, you would have to stick with GBP bonds and selected UK companies that are mainly domestic. As long as you are investing long term, FX movements should average out. @ ivanopinion: Yes good points: most UK investors do not worry overmuch about FX risk when buying FTSE100 stock, which as you say, is very sensitive to exchange movement. Lars Kroijer proposes on this site and elsewhere holding an amount of bonds and gilts in one’s domestic currency that is dependent on appetite for risk as bonds and gilts reduce the risk. I’m reassured by your last statement “As long as you are investing long term, FX movements should average out” which sounds good but I wonder if there’s any evidence for that? Over the very long run, the pound has lost strength, given that there was a time when it was worth more than US$2.5. So, this will, on average, have led to FX gains for UK investors in US$ assets. Perhaps another way to look at it is that no-one can tell whether the pound will strengthen or weaken, so best to spread your money across a range of currencies. Can you explain why Vanguard invest into Vanguard FTSE Developed World (ex UK) and then into the Index funds for each of the regions e.g. US Equity . I can understand why the UK is chosen as this is not part of Vanguard FTSE Developed World (ex UK) but the rest are? You would think they would just increase the percentage for each of the region funds and not bother with the World Fund or am I missing something? If a lot of people invest in vanguard life strategy is there not a danger that the underlying share/funds will be over valued. Or as the fund is split between many funds/index that this reduces the risk. For the sake of discussions what would happen if all uk pension investment changed to just using vanguard life strategies. Hope they’re not charging their clients over the odds…. Question for others that use the LifeStrategy funds. If say you decide you are happy with the VGLS80, but also want to add some tilts to the side, say Small Cap & Value 10% of each, how do you then counter the fact the 20% bond allowance you had with VGLS80 is now only worth around 15% total portfolio? First, have a think about how sure you are that 20% is exactly the right portion of bonds. You might decide that this is just an arbitrary, round figure, that is only roughly right for you, and in fact there is just as good an argument for 15% or 25%. (Or even 10% or 30%.) If so, then no problem. I’m not telling you what your figure should be. Even if I knew all your circumstances, I wouldn’t presume to do so. Just querying whether you are starting with an unnecessary presumption, that bonds have to be exactly 20%. If you do want to adjust, then why not switch some of your LS80 into LS60, in the right proportions to increase your bond exposure to what you judge to be appropriate. Lifestrategy sounds like a great idea for tax sheltered accounts (ISA, SIPPs), but if you have significant taxable amount to invest, then is it a good idea ? What I mean is that in a taxable account, dividends from pure equity funds are taxed at a more favourable rate than income from pure bond funds, the latter being treated like bank interest. This is why the typical advice is to park bond funds in tax-sheltered part of the portfolio as much as possible. Any of you high rate (40%) tax payers out there using LifeStrategy in the taxable part of your portfolio ? Do you then just bite the bullet and pay 40% tax on the dividend income reported by the Lifestrategy fund like you would do for a bank interest ? I take it you are talking about LS20 and (maybe) LS40, because only funds with more than 60% fixed interest (or cash) assets have their dividends taxed as interest. On a quick look, LS 40 has only 39.7% equities, so is presumably caught. And I assume you are also talking about situations where the personal savings allowance has been used up? That seems to make sense. It would be good tax planning to prioritise bond funds (including those with up to 40% equities) for tax shelters, and for any such funds that cannot be sheltered and that have any equity assets, convert them into equivalent mixes of pure bond funds and pure equity funds. LS20 pays interest distributions. LS40 (and 60, 80 and 100) pay dividend distributions. I was not aware that only funds with more than 60% fixed interest (or cash) assets have their dividends taxed as interest. That is useful news. Thanks. @ Mikkamakkamoo : So even LS40 dividends are treated for tax purpose similar to dividends from pure equity funds ? Vow, I am truly surprised that HMRC would let us get away with that. makes it simple, I suppose. My initial thought was that the tax may be pro-rated, meaning in LS60, one would pay “dividend tax” on 60% of the dividends received and “bank interest” tax on 40% of the dividends received. But thinking about his further … I asked myself why should the proportion of assets matter. Shouldnt it instead be based on the actual dividends received from the equity component vs bond component ? A £100 dividend from LS60 may well be composed of £70 from the bond part and only £30 from equity part. Yes, I was considering the scenario of receiving more dividends than the personal allowances. In tax year 2016-2017, I believe savings allowance (bank interest etc) is £1000 and dividend allowance is £5000. To provide an example that further exaggerates my statemeent in the 3rd paragraph above, say a high rate tax payer (say on salary of £50,000) holding LS60 fund in taxable account receives a dividend of £4,999. Let us assume the individual has no other funds or stocks or bank interest. So there would be no tax to pay, which sounds ** too good to be true **, considering that quite a bit of that £4,999 might indeed be “interest income”, possibly exceeding the £1000 significantly. Still cant get over the shock that LS40/60/80’s distributions are entirely taxed at favourable dividend rates rather than bank-interest rates. Yes. Although in theory they could flip flop over time and change to interest distributions. You would need to check your tax voucher provided by your platform. Yes, if someone had £4,999 of dividends in the current tax year (17/18) there would be no tax to pay on those dividends. Remember though that the dividend allowance is due to reduce to £2,000 for 2018/19 tax year. Obviously all of this irrelevant if holding LS in ISA or pension wrapper. Assuming you’re not, also remember that those distributions also help to reduce your CGT bill as they can be used to increase your base cost for CGT purposes. That’s a whole other conversation though! I assume you are putting as much as you can into a pension. You can make pension contributions equal to 100% of your income from employment. Sell some of your existing investments to generate cash to cover your living expenses. The net effect is that you have moved unsheltered investments into a pension. Of course, there’s a £40k pa cap on this, but you can carry forward unused caps – see other articles for details. So, depending on your circumstances, you could be transferring £80k or more into tax shelters. That’s 2x£20k, assuming you have a partner, and £4ok into a pension (or more, if your partner has income from employment too, or if your pension contributions were less than £40k pa in the last few years). Perhaps the preceding comments actually highlight an unrecognised benefit of the LS funds (at least unrecognised by me). Anyone who currently has unsheltered investments in pure bond funds and pure equity funds (both passive) might be better converting them (in a 60:40 ratio) into LS40. Such a person is currently paying tax on the bond fund dividends at the rates that apply to interest, but by blending with dividends sourced from equities the whole lot becomes taxed at the more favourable dividend rates (or even tax free, up to the dividend allowance). The same would be true of any fund that mixes up to 60% bonds with equities, but LS40 is optimal in this sense, assuming it always manages to get close to, but just under, 60% bonds. However, I think LS40 has fees that are a few bp higher than if you buy the underlying funds instead, so you would need to offset this against the tax saved. I’m not sure if anyone is following this thread. But if you are: there may be a caveat with holding Vanguard funds outside tax wrappers. The funds don’t seem to appear on brokers’ tax certificates. My experience is that some brokers tell you their tax certificate only has information fund managers happen to pass on (perhaps not on ACC funds, for example). Vanguard seems to be frequently missing. Not sure whether this has to do with Ireland domicile. 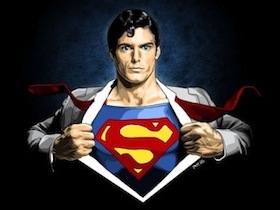 The advice from one broker was that I’d have to approach them directly to ask…. no idea how anyone would do this, and it suggests that the “consolidated” tax certificates, which look so helpful, can be rather misleading. So it hasn’t simplified my life – quite the opposite! Blackrock funds do seem to get reported more. Thank you for getting in touch with the crew here at Vanguard. I can confirm that for tax purposes the income received from the LifeStrategy 40% Equity Fund – Income is classed as dividends. Quick one, in case anyone is monitoring this. Say I use a VLS 100. In a Vanguard ISA. And I use this for some years. But then my risk profile changes and I’d prefer to be in to the VLS 60 or 40. Can I just swap funds? I’d assume that I’d be incurring significant fees for the sale of one and purchase of another? Or would an internal swap not incur this? Would it be better to just divert payments into a VLS20 to create some balance – however this assumes I’d be paying this in for a long time and it’d take a long time to create said balance. Does this question even make sense!? The costs of switching will depend on what platform you use. In most cases, fund purchases and sales have no dealing charge. There used to be a dilution levy on purchases, but no longer. If you hold them direct with Vanguard then I would guess that you might be able to convert directly and I’d be surprised if it cost anything. So, probably best just to convert to the LS fund that has the mix you prefer, rather than trying to balance 100 and 20. Good morning all, ive just been reading through the articles and comments on here as im fairly new to dealing with my own investments and currently putting my revised long term strategy in place. As a matter of opinion would you stick to only one fund i.e one of the Vanguard LS funds since they are pre-diversified, or would you hold an LS fund and also another side fund such as lets say the Vanguard S&P 500 tracker or perhaps even one of the new Vanguard target retirement funds aswell? Im currently 33 and have lets say 30 years until retirement but would ideally like to get this on the right path now with my core holdings. @Leon: as you say, the Vanguard LifeStrategy funds are already diversified and there’s a good range from which to select the one you need (though please take account of the running costs) so it’s difficult to see any benefit in having more than one fund unless the two funds are at a lower running cost. If you were to select more than one fund then you would need to consider regular rebalancing to meet your needs. In view of the time to retirement I assume that you’d be aiming for a mostly equity balance. More importantly, ensure you take advantage of pound cost averaging by saving a regular eg. monthly amount and save as much as you safely can while still keeping sufficient aside to cope with major purchases and periods out of work etc. I’m not a professional investor so the above are purely my own personal views. I’ve no doubt those better qualified to give an opinion will jump in shortly. Next post: Weekend reading: A modification to the £1 million inheritance tax threshold?